Our Spark Machine Hire is becoming more and more popular and we are not surprised! Why is this? Our Machines have lots of benefits along with the fact they look amazing. Spark Machines are a lot safer than traditional fireworks, and environmentally friendly too! Firework effect machines also leave no smell and have a very low smoke output. The machines also come with a remote therefore you are able to control when and how they are used. Plus they can be used indoors at any venue. The spark machine provides an upwards spark stream at the click of the button. They have become very popular for weddings maybe your thinking for your grand entrance? They are used at many types of effect, stage performances, Parties, festivals. And many other types of events. Fusion wants to help you find exactly what you are looking for and work closely with you to achieve this. You may be working towards a budget or maybe you just need some advice and we are here to help. There are two ways you can hire our Spark machines from us, we can deliver and set up for you. Alternatively, you can go for our dry hire service and meet us where we are based in Croydon. Please do not hesitate to contact us if you have any questions even if it isn’t to do with our Spark Machine Hire. With the Spark machines, you also need to purchases the Spark Stream Granules. We have these for you to purchase along with the hire of our spark machines. Brighten and add that extra spark to your event, contact us today for more information. The Spark Stream is a unique type of spark machine that projects cool sparks. 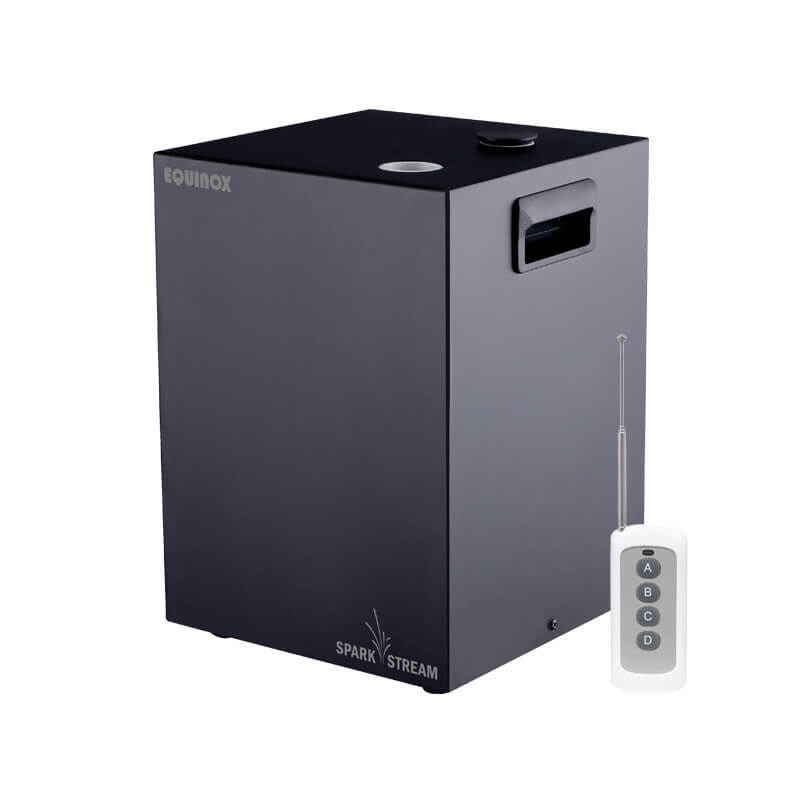 The system contains no explosive content making it perfect for any indoor or outdoor event from fashion shows and concerts to corporate events. 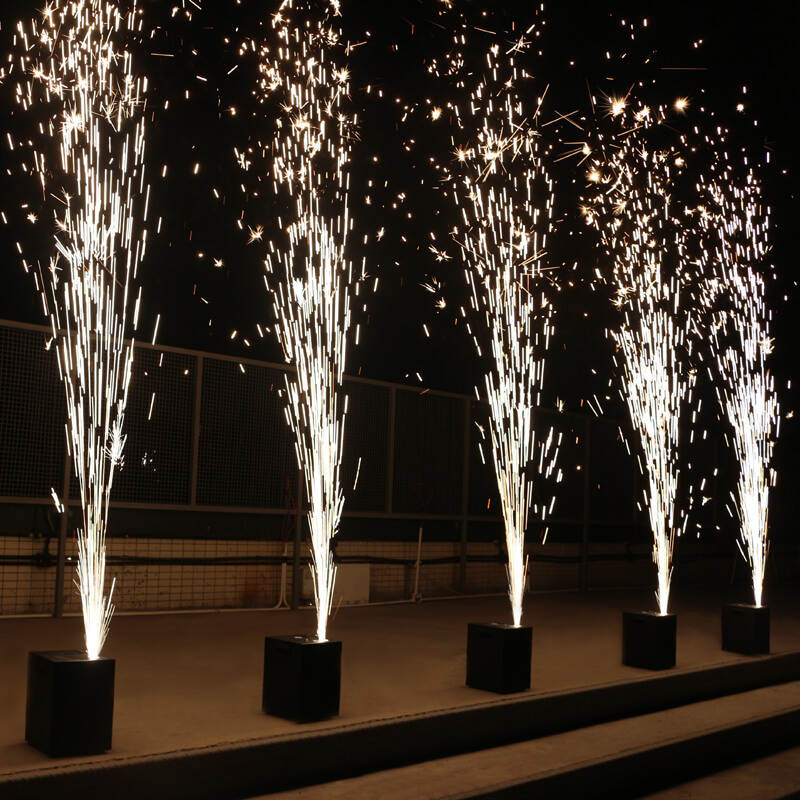 The unit operates at much cooler temperatures than traditional pyrotechnics by heating specially formulated granules and projecting them into the air. The sparks produced are non-flammable and non-hazardous.